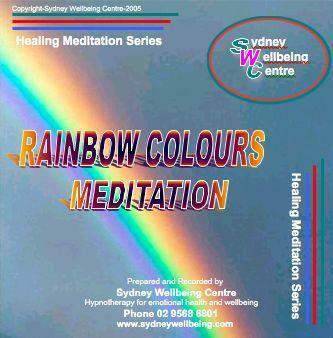 Deeply calming Stress Release Hypnosis CD for wellness… Imagine soothing healing colours of the rainbow encircling your body, releasing stress and tension. This hypnosis cd improves wellbeing, creates deep relaxation and peace of mind. Regular relaxation encourages the body to increase the release of endorphins, the feel good hormones, as well as serotonin, a powerful hormone associated with feelings of happiness, wellbeing and contentment. By listening to this guided hypnosis cd for stress release, you will increase your chances for overall emotional health and wellness. Stress is a normal part of life, some level of stress is unavoidable. To help you deal with the minor stress in you life you can learn to manage it with the help of this hypnosis cd.